The good news: Idaho’s postsecondary completion numbers are moving up, slowly. The old news: Idaho still has a long way to go. 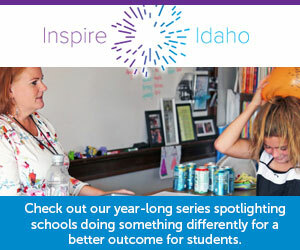 As Idaho continues to emphasize its elusive “60 percent goal” — a drive to convince young adults to continue their education beyond high school — let’s dive into the latest numbers from The Lumina Foundation. The Indianapolis, Ind.-based foundation is pushing a national 60 percent goal, with a 2025 target date that mirrors Idaho’s. The bottom line, 40.7 percent. Idaho’s postsecondary completion rate. That’s the percentage of adults who hold a college degree or a professional certificate. And it’s a slight increase from 40.6 percent the preceding year. Lumina tracks the numbers a little bit differently, looking at all adults from 25 to 64 years old. Idaho’s goal is focused only on 25- to 34-year-olds. Any way you slice it, though, there’s a big reason why Idaho education, political and business leaders have made the “60 percent goal” their top education priority. They say a higher postsecondary completion rate will help Idaho adults compete for jobs in a growing economy. Nationally, the postsecondary completion rate comes in at 47.6 percent. The national rankings aren’t just a matter of bragging rights. State leaders say a better-educated work force will also help Idaho compete in the new economy. Demographic challenges linger. Here, Lumina measures only college graduation rates. The numbers don’t include adults who hold a certificate as opposed to a degree. But the news isn’t good. Only 15.1 percent of Idaho’s Hispanic adults have a college degree of some kind. Only Arkansas and Nevada had a lower graduation rate. However, Idaho’s Hispanic graduation rate ranked last in the nation in 2016. For another significant ethnic group, American Indians, the numbers are also grim. Only 15.3 percent of Idaho’s American Indian adults have a degree; only Alaska ranked lower. Geographic gaps also linger. In Latah County, home to the University of Idaho, 57 percent of adults have a college degree of some kind. In Madison County, home to BYU-Idaho, 56 percent of adults are college graduates. But in 10 rural counties, fewer than a fourth of adults hold a degree. The advanced opportunities program provides seventh through 12-grade students with a $4,125 allowance to take dual-credit college classes or Advanced Placement or International Baccalaureate tests. The program is growing rapidly, and lawmakers have put a record $18 million into the program for 2019-20. Rod Gramer, president and CEO, Idaho Business for Education: Money is clearly a factor, as high school students decide whether to continue their education. Even with a $7 million increase in the Idaho Opportunity Scholarship, some qualified students will miss out on the money.